How many times have you lost a wrench or socket in your engine bay? Yeah, that's what I thought, too many to count. Finally after all of these years of losing tools, GrimmSpeed has come to the rescue. 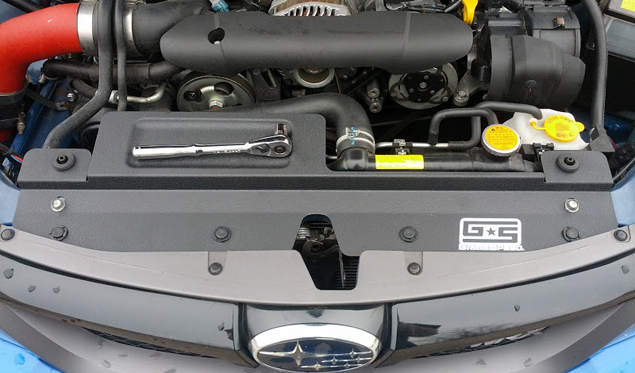 Introducing our Radiator Shroud w/ Integrated Tool Tray for Subaru vehicles. Another common issue that we are fixing is that in stock form, because of the way the front of the Subaru is designed, there is incoming air that doesn't actually pass through the radiator because of some large gaps in sealing at the top. Our shroud forces this air back through the radiator which in turn keeps the radiator cooler. Thirdly, we snuck in yet another cool little feature that you won't find on other radiator shrouds; we have incorporated the radiator stays into our shroud. Yep, you can now ditch those OEM stays and transition over to our super clean approach to using the shroud as the radiator stay. 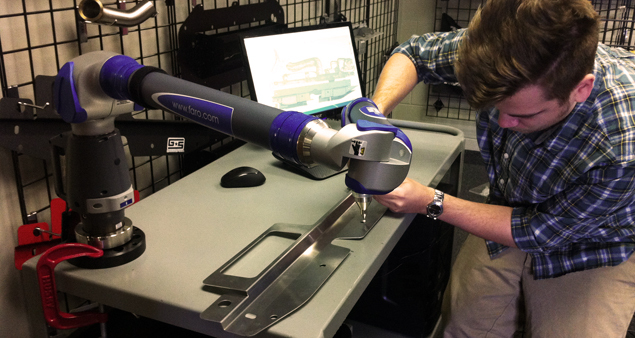 We designed the GrimmSpeed Radiator Shroud using our in-house FARO Arm along with the latest and greatest Solidworks CAD software. This assures that we can offer you the most precise and best fitting Radiator Shroud on the market. Our Radiator Shroud has been made with beefy local raw materials. The base of the product starts out as a 6061 sheet of Aluminum. We then invested a large amount of capital to create production level tooling and molds to allow the Tool Tray to be formed without having to rivet or weld. This gives it a much cleaner and more finished look. Next we turned to DuPont for their heavy duty Black, Red, and Silver Wrinkle Powder Coat. This gives the Radiator Shroud a very tough finish that will last for years. Finally we laid down some GrimmSpeed ink to finish off the whole design.